Paul Feig has shown a Vin Diesel-like eagerness to promote his films through social media, including his Ghostbusters reboot—or, as it’s also known, the movie that will retroactively destroy the childhoods of anyone who has a problem with evil spirits being banished by women. Having already shared the first official photo of the team and its new line of toys, the director announced on Wednesday that the movie’s website is now up and running, complete with testimonials from once-and-possibly-future Ghostbusters Bill Murray, Dan Aykroyd, and Ernie Hudson. Feig also indicated that the full trailer would be released toward the end of February, which is a day longer thanks to the leap year, which means our gratification will be just slightly more delayed. To tide fans over in the interim, Columbia Pictures has released new photos from the set. 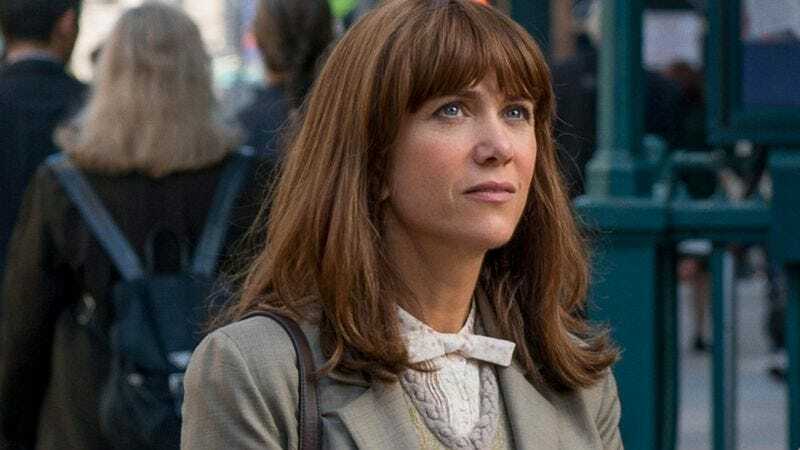 We see all four Ghostbusters—Kristen Wiig (in the header image), Melissa McCarthy, Leslie Jones, and Kate McKinnon—gazing up or across at something or someone, but since they’re all out of uniform, it probably isn’t anything too dangerous. There’s also an image of the crew’s secretary (Chris Hemsworth) pointing at something, perhaps in an effort to distract from the shirt he’s slung over his computer monitor to hide whatever NSFW internet search he was doing.